Xbox One indie developer Crunching Koalas has expressed concern over Microsoft’s ID@Xbox parity clause, which stipulates games on the service must launch on the console at the same time as other formats. The team now has doubts over whether or not its game MouseCraft can come to Xbox One. It’s an issue I discussed in great detail with Nuclear Throne developer Vlambeer last year. The team had the same problem with the clause, but had little problem with ID@Xbox overall. The problem comes from small developers – in Vlambeer’s case: a team of two – being unable to simultaneously make multiple versions of the same game to comply with Microsoft’s clause. There simply aren’t the funds or manpower to make it happen in some cases. Speaking with OXM, Crunching Koala’s Tomasz Tomaszewski revealed that the team is currently working on two Unity games for PC, Mac and Linux, and hopes to release platform puzzler MouseCraft on PC and PS Vita in May. It had hoped to launch on Xbox One in the summer, but Tomaszewsk now fears that Microsoft will block sale of the game if it appears on PS Vita first. 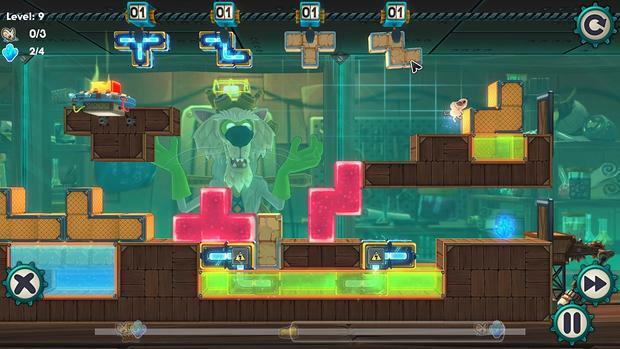 The team also hopes to launch MouseCraft on PS4 at some point. He told the site, “To be honest, I haven’t done anything with our Xbox dev kits. Just launched them and played a little bit with the new Xbox. We’re using Unity 3d for all our games and the [Unity toolset] for Xbox One is still not available. “As for the console’s unique features – I don’t see anything that can be used in MouseCraft, maybe besides integrating the game with Live features. Making the level sharing and cloud saves available through all Microsoft platforms – Windows 8, Xbox One and Windows Phone. It would be nice to use SmartGlass, but at the moment I have no idea how to do this. What do you make of the above? Should the parity clause be abolished? Let us know below.